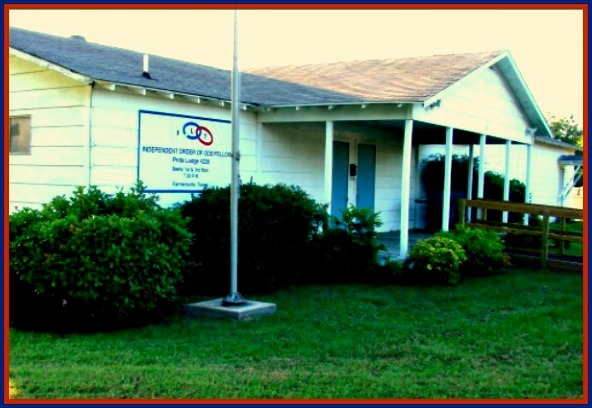 We are located at 801 Windom St. in Farmersville, Texas off of SH78, across the street from the Farmersville Junior High School. You will turn east onto Sycamore Street. The IOOF Lodge is located at the corner of Sycamore and Windom Street, next to the I.O.O.F. Cemetery. See photo of our Lodge Building and a map below. Our Lodge meets every 1st and 3rd Monday at 7:30 PM. We would like to invite you to become a part of our lodge membership. 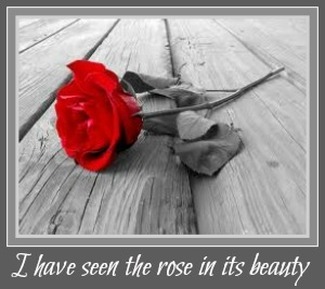 While we insist that one must believe in a supreme being, we do not inquire into the applicant’s particular choice of faith or belief, nor do we permit religious discussions in our lodge room, as each member is privileged to worship God according to the dictates of his own conscience without interference from the order. We also recognize that society has laid down certain rules that have proven of great importance, so that, while we recognize the fatherhood of God and the kinship of humanity, we must require evidence that the applicant is of good moral character, and he/she must be mentally capable of earning a livelihood. With these simple yet essential qualifications, a man or woman may unite with us in the office of human benefaction. 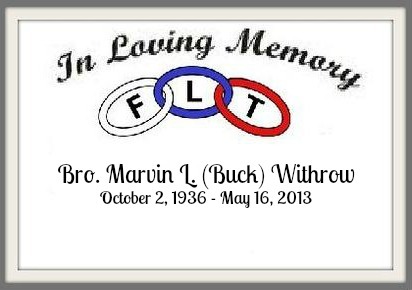 Our Charge : The commands of Odd Fellowship are to Visit the Sick, Relieve the Distressed, to Bury the Dead, Educate the Orphan, and to Protect and Care for the Aged and Widowed. 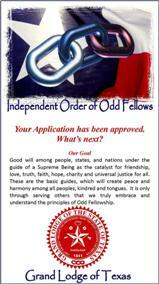 If you would like to join our ranks and become an Odd Fellow; talk to the person who directed you to our website. If you found us through a search and have questions feel free to use the Contact form.